Petstablished was created to help Animal Welfare Organizations (AWOs) of all sizes, raise more money and manage their day-to-day tasks at an affordable price. As we grow, we will continue to improve our already amazing product, and will find other ways to share revenues with YOU to help increase pet adoptions. In 2017 Petstablished helped raise over $150,000 for Shelters and Rescues participating in our revenue share and microchip programs! Petstablished is the only AWO management software that shares revenues with its users. Through our revenue share programs, AWOs get access to all features for FREE, and can actually get paid to use our software! Maximize the online exposure for your available pets! Pestsablished can automatically export your available pets to Petfinder, Adopt-a-Pet, and RescueGroups.org's Pet Adoption Portal. We empower you with tools to help your pets get adopted. 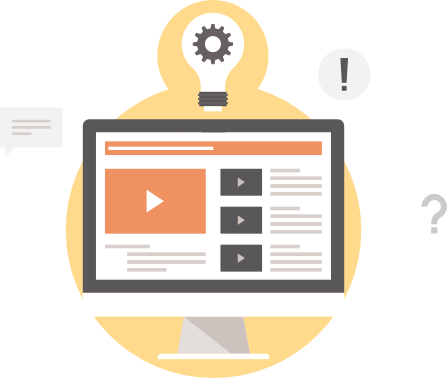 With customizable adoption forms, adoption form embed code for your website, the most advanced application processing system in the industry, and pet search, we make it easier for adopters to apply and for you to review applications. Why pay thousands of dollars each year for outdated software when you can get the same features (and then some) for much less? Petstablished lets you manage, your pet data, medical records, tasks, contacts, documents, applications, fosters, adopters, and more, ALL IN ONE PLACE! We are the fastest growing shelter and rescue management software in the industry! We made the process of getting you started simple and fast. Import current adoptable pets from AdoptAPet, Petfinder, Rescue Groups and your data from spreadsheets or your software vendor. Aside from being intuitive and simple, we lower the barrier of entry for your staff by providing interactive tutorials, so they can learn as they work. Petstablished is a one stop solution for shelters and rescues that is trusted by hundreds of organizations. Petstablished is built on latest technology, is fast, user friendly and designed to be used on the go. ...I am LOVING the software as we are really starting to use it more and get our fosters involved in keeping pets updated. I'm starting to use the medical records and love the reminders! We had our first application through the software last week and it was not only flawless, it was AWESOME!! ...I’ve worked with rescues all over the country since 1989, and this is the best thing I’ve ever seen. "This is a Godsend! "...Petstablished has changed the way we do business and we LOVE it. I would love to be a reference for any new organizations considering using your products. I don't miss dragging around paper and trying to get all of the info to the adopters." "...very happy to be able to use this. It's much easier and better than anything I've seen or used." "OMG! I cannot tell you how much of a lifesaver this is going to be!" "This is really awesome!...We have been researching software for two months.....I think this is going to help us move to the next level and to grow." "We LOVE it!!! I love when one of the members has a question about a dog, I can say, 'Check Petstablished.' I seriously do not know how we survived before using it!!" "... I'm always blown away by how quickly your team responds to my emails and how helpful they always are. Petstablished is the best and I am grateful to your support staff for always being so reliable and courteous. " "I absolutely love using petstablished! Its awesome and so easy to use." "I am new to the software but I think it is awesome! It is also awesome that the software is free. Thank you for donating something that will make a huge difference to lots and lots of people and dogs!" Myself and another volunteer with HSTC were almost overcome with emotions when we realized what Petstablished is going to do for our organization. Without an actual shelter, and simply a group/network of volunteers, this software is going to help us tremendously! We are so fortunate to be selected to beta test! Thank you thank you!! I LOVE the new design of "View Public Profile" on the Manage menu! “This is really wonderful, and I think it's going to help us a lot!" "Anyways, we are LOVING this database and can't believe how much of a drastic improvement it is from our old system. You all have an amazing support team and a great product." "I just wanted to send along a huge thank you to all of your staff. PS (as we call it to shorten it) has made our lives so much easier. I can not say enough positive things about this software. It is designed for rescues/shelters and understands our needs. Change is difficult for some people. But the transition from our old out dated software to PS was amazing. The support then and now after we have been using it for several months is impeccable. If I email or call they always get back to me in a timely fashion and are always so friendly and helpful. PS is a breath of fresh air for us as a rescue and I would highly recommend anyone no matter how big or small your group is to make the switch. You will be happy you did. Thank you to everyone at Petstablished." I just want to say first how thrilled I am so far with Petstablished…...You’ve been so responsive, you take so many suggestions, and we are more organized than we ever have been. I love it! “OMG! This program is gonna be my new best friend! "It has been working great and makes keeping track of when the dogs leave so much easier for me." We are absolutely thrilled with your software. You have solved almost every problem we had as a rescue! "Everyone at LALDR is loving how much easier things are with Petstablished and are amazed we ever functioned without it." "You guys are always amazing but even more so when something goes wrong. The service we are provided is top notch and it definitely helps us feel so secure in using this system. Others have been brought before me for review and I tell them “Petstablished does all of this and more plus our microchips. And their people rock. Thanks but I’m sticking with them.” We couldn’t be more satisfied customers." "Petstablished has made it extremely easy to maintain accurate information on each of our pets - from intake through adoptions. Because we are so small, there is really only one person in A3P who manages the pet data. Having a reliable database that's user friendly, even for the technologically challenged, is important. The ability to link to external agencies that promote adoptions, such as Petfinder, takes a tremendous amount of pressure of trying to manage multiple databases. Also, being able to purchase, manage, and register microchips in the same database makes management of pet data a breeze." Embed a pet adoption widget on your website or design your own with our customizable API. Allows you to create custom Adoption, Foster and Volunteer forms. Donation Management allows you to store donations as currency or items. You can also sync your bank account to allow users to donate directly online. Store documents/attachments and attach them to pets, contacts and adopters. Send out automated newsletter templated emails to your adopters every 3, 6, or 12 months to stay in touch. Step-by-step video walk-throughs will help get you started quickly. We are data management software for animal shelters and rescues. We help you manage your adoptions, fosters, pet history, medical records, and donations--all in ONE place. Do I download the program to my computer? Is there a per computer charge for usage? Petstablished is completely web-based so there is nothing to download. You can log into your account from anywhere provided that you have a working internet connection. There is no per computer usage fee. How many people can I add to my account and are there permissions? There is no limit to the number of users you can add to your account. You can also set permissions* that determine what portions of your account your team members can access and what actions they can perform. Do you offer microchips, what brand are they, does the price include the registration? We offer Petstablished microchips, which are currently the smallest ISO-compliant chips on the market. They measure 1.25mmx7mm, are 134.2KHz, and readable by universal scanners. There are a few microchip registration options available, including pre-registered chip/registry bundles. For more information, emailinfo@petstablished.com. There are three subscription plans available, ranging from free to $48/month. When participating in ourmicrochip program, you are upgraded to the Gold Plan and have no monthly fee for software usage. To lean more about our plans, please clickhere. Do you also offer scanners? We do not offer scanners at this time. Do you connect to Adopt-A-Pet and Petfinder? Yes. We provide automatic exports of your adoptable pets to Adopt-A-Pet, Petfinder, and Rescuegroups. I take in and adopt out 30-50 pets per month. How do I keep track of their medical information, including shots needed? In addition to being able to add both existing and new medical records for the pets in your care, you can also set up reminders for shots, procedures, medications, and/or vaccines. Can I use my own application with this system? You can customize the built-in default applications or upload a completed, scanned application, and process it in the system. Yes. 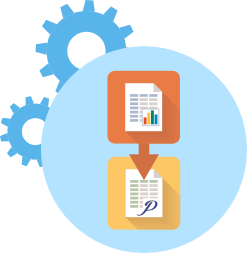 With our system, you can choose the kind of report that you want to run--including the option to create a custom report--and what information you want to include in that report. 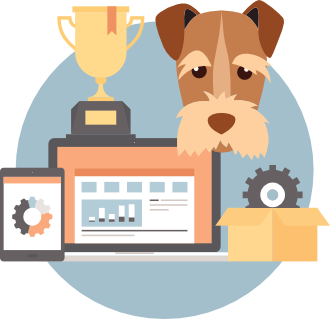 Petstablished is the fastest growing data management software on the market! We allow you to manage your adoptions, fosters, pet history, medical records, applications, and much more - all in ONE place. Petstablished is also the only software in the industry designed to share revenues and give back to the shelters and rescues using us. Through our microchip program and donation portals, you can save money by getting FREE access to all features we have to offer. Come check us out and sign up for a free-trial today!